New Jersey natives have a saying about the shore: It’s better in September. The summer crowds are long gone, leaving miles of white sand beaches to enjoy in peace. The waves of the Atlantic are at their warmest in autumn, drawing surfers and locals back to the beach for the best swimming of the year. There are also lots of special events to enjoy. Whether you choose to stay at a luxurious Atlantic City hotel or a cottage in Cape May, head “down the shore” in the fall for a better beach experience. Labor Day weekend marks the end of the high tourist season on the Jersey Shore, but many families are already back to school by then, making it a less crowded time to hit the beach. Quaint Cape May celebrates the holiday with their quirky Tomato Festival in Wilbraham Park. The Garden State grows some of the best tomatoes in the country, and they are on display and ready for sampling here. Grab some to go and picnic on the beach in the afternoon. Atlantic City is host to the grandmother of all pageants, the Miss America Pageant. This classic spectacle is held on the second weekend of September at Boardwalk Hall, home of the world’s largest pipe organ and a historic landmark in its own right. Stay at hotels like The Chelsea or TRYP by Windham, and you’ll be within walking distance of the pageant and related activities. In 2015, Chowderfest is the first weekend in October, but Long Beach Island keeps the “Better in September” vibe alive for visitors to this popular event. Located in Beach Haven on the bay side, this event provides all-you-can-eat chowder tasting, live music, special events for kids and the biggest sidewalk sale on the shore. If you’re looking for deep discounts on beach fashions or surfing gear, you won’t find better prices anywhere, as local merchants prepare to close up shop for the year. 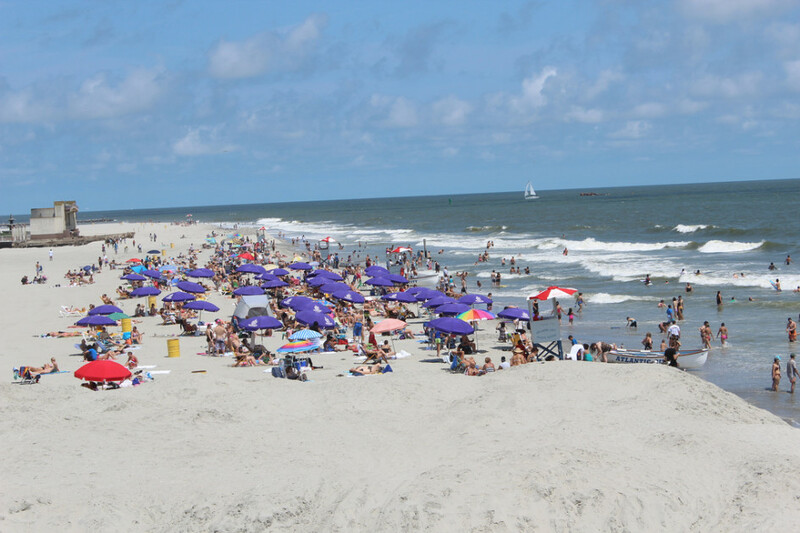 Whether you’re looking for a quiet afternoon in the dunes, some delicious food or the glamour of America’s original beauty pageant, the Jersey Shore in the fall is a great place to be. Give it a try, and soon you too can say with a knowing smile that it’s better in September!